The new M2 from Pearl Izumi offers the perfect balance of cushioning and stability, with improved flexibility, softer heel cushioning, and an incredibly comfortable, seamless upper. Part of the Project E:Motion® line, the Road M2 delivers a smooth, race-ready running experience and sets a new standard for performance plus stability right where it's needed. The M2 offers stability for those looking for a light feel, but have mild over-pronation. Fully equipped with features that are unique to the Pearl Izumi M2, it can perform well even for a neutral runner looking for a little bit of support and protection on recovery days. New 3D Seamless print upper provides simplicity at it's finest allowing for modesty in the fit accommodating to a wide range of foot shapes! "Good, just don't need quite as much stability for my foot." - Jim R.
Higher volume fit though the mid-foot compared to previous versions. Seems the the overall shape of the shoe feels a little more on the curved side. The shoe is super lightweight and flexible which gives it an extremely natural ride. Almost feels like I am barefoot!" 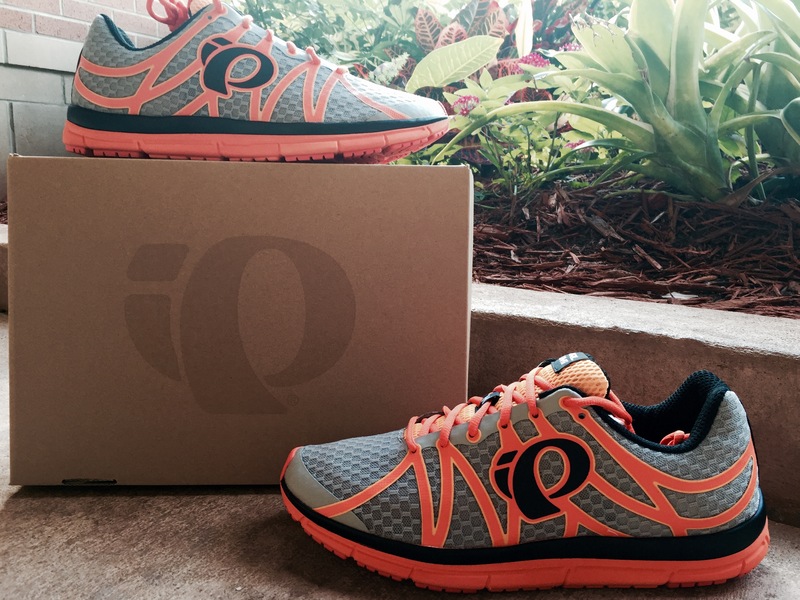 - Brian V.
"The shoe feels very light and not much different than my neutral shoes that I run in. I would use these shoes for my training runs. They are really comfortable and I feel like they can be used for runs anywhere from 2-10 miles." - Sinclaire J. "Pure Perfection." - Chris P.
"Fits very nice. Wider in the toe box than previous versions. Nice and lightweight. Comfortable upper feels really nice on the foot. Fits slightly snug for me, but not uncomfortable." - Jess C.
"Very light for a stability shoe. Snug but it stretches with the foot which is really comfortable! This is a good shoe for someone needing light stability, or even a neutral runner. Feels similar to a minimal shoe, but with actual support!" - Jen Y. "I have been running the neutral version of this shoe and slipping it on, I felt like I could still run in this shoe if I felt I needed a little bit of insurance in the shoe. I am really loving the updates to the Pearl shoes and this is no exception." - Kelley L.